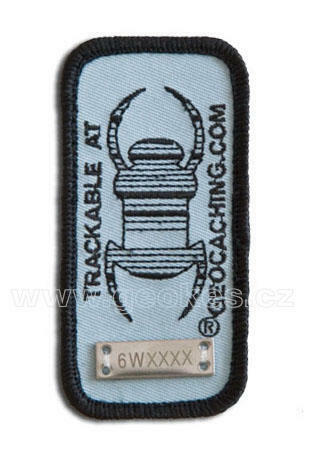 Trackable Travel bug geocaching patch. To be attached with velcro strip (included) to your back pack or jacket. 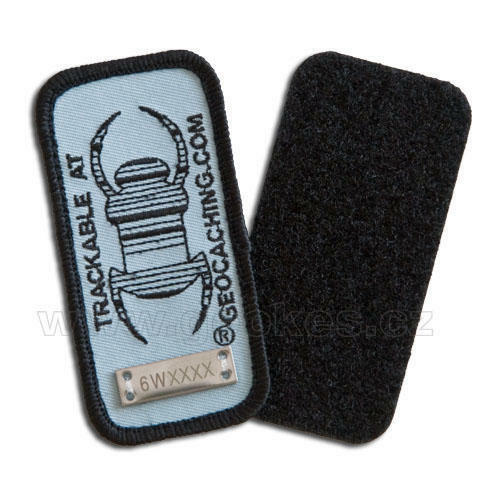 It is not fixed to one piece, with the velco strip you can atatch the patch to different equipment. Size 4 x 8 cm.